Do you want to learn micro macrame? If you live anywhere near Omaha, here's your chance! I'll be teaching a class at the Omaha Bead Affair on April 17th. 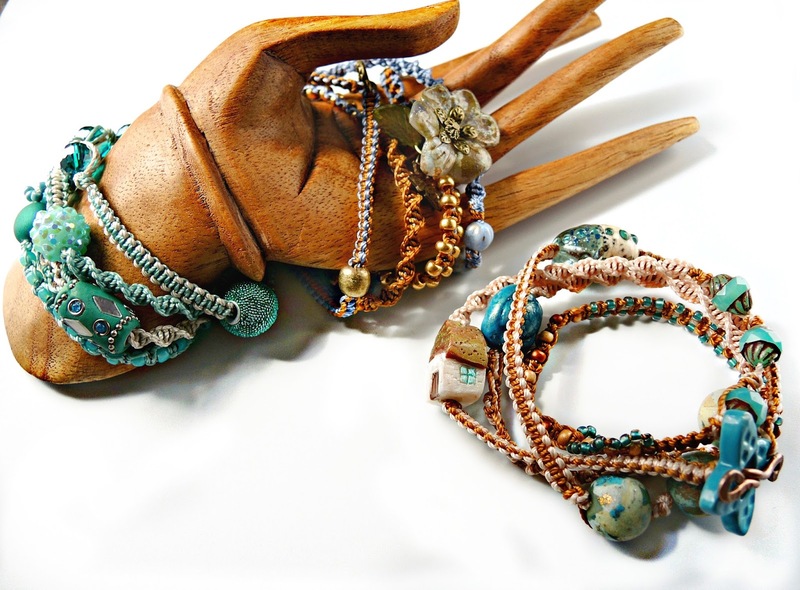 This class is geared for beginners as well as people with some knowledge of macrame. 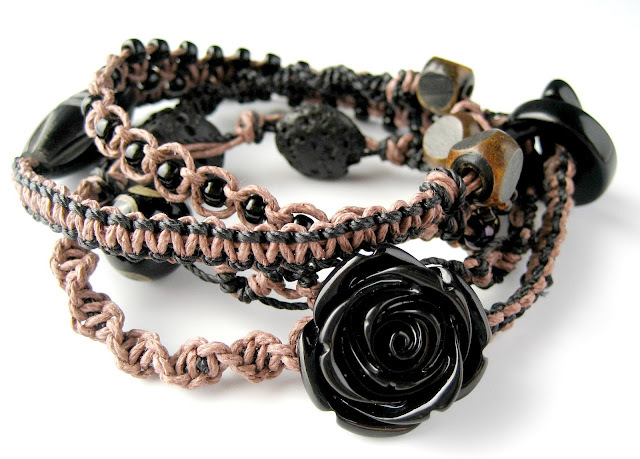 In the process of making this fun wrap bracelet, students will be learning five of the most common macrame knots. 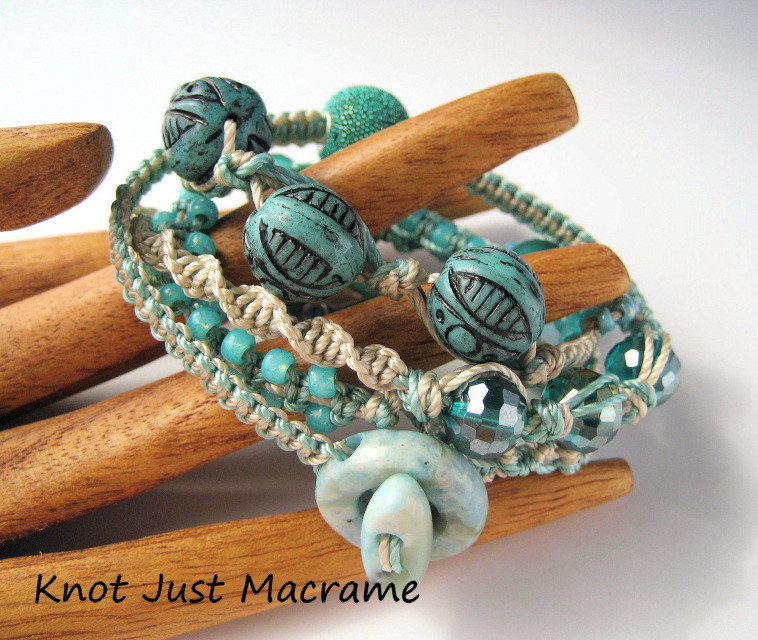 If you have never done any macrame, this class is meant to get you acquainted with knotting and working with cord. If you've had some experience, it's a good refresher for different knots (and a lot of fun!). A materials kit is included in the cost of the class, so you'll only have to bring a pinning surface In case you're not familiar with macrame supplies, I did a whole post that includes some suggested sources here. And if you really want to be a showoff, dip your toe in the micro macrame pool by completing this free project. I'm ridiculously excited about teaching another class (seriously - I have a blast teaching classes). Hope to see you there!